i want to have their invites printed on card stock. i found a really nice local photo lab that was able to scan the painting i made and print the save the dates for me on watercolour paper, but the final product was a little curved due to the lighter weight of the paper. for the invites i'll be experimenting with other printing services and i'm nervous that it'll require a fair amount of trial and error before finding a good enough printing company. i did a bit of reading online and several people recommended catprint.com & stationeryhq.com, so i'll be giving them both a try. 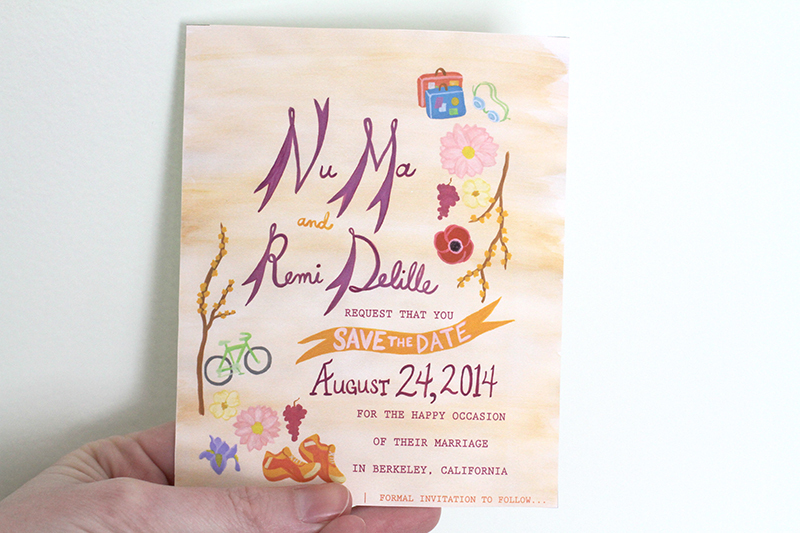 i'm going to order the save the date design on card stock and compare to the original... i'll review both here!